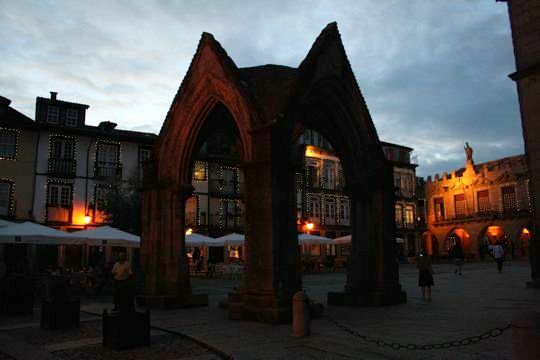 Guimarães: The Most Romantic Nighttime City in Europe? 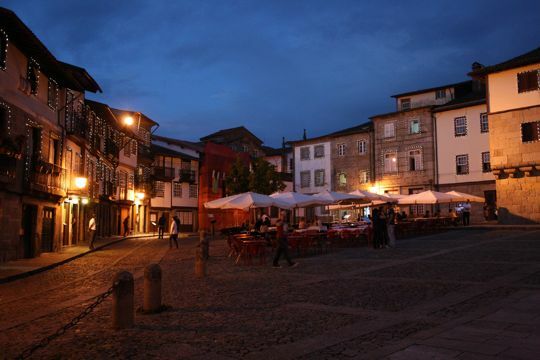 Home / Expat Confessions / Guimarães: The Most Romantic Nighttime City in Europe? 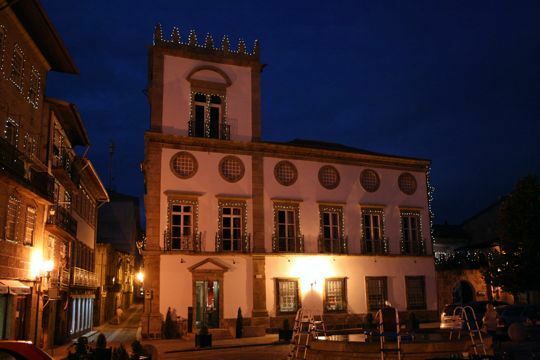 If you are looking for a romantic city, a bit smaller and less touristic than Paris or Venice, you should look to Portugal. 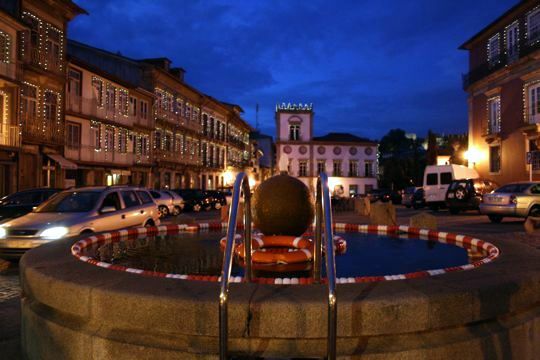 Specifically, try the Ave Valley and the small city of Guimarães. Never heard of Guimarães? Don’t worry, I hadn’t either, but now that I’ve been there I feel obligated to share my experience with the world– it’s that amazing. 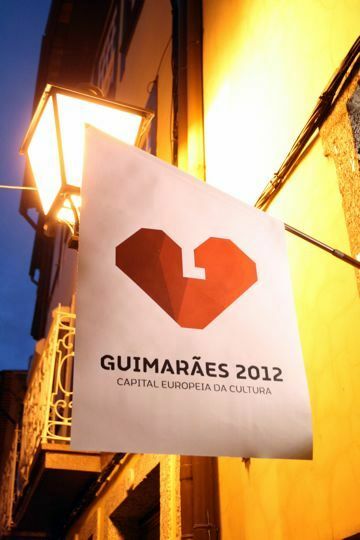 Now, it’s not like Guimarães has been completely off the map– it is the 2012 European Capital of Culture (a big deal! ), and people should be lining up to visit! I’m willing to bet that they soon will be, as this small city of 55,000 people offers amazing accommodation, traditional food, and fascinating history, all in a fairytale-esque setting. 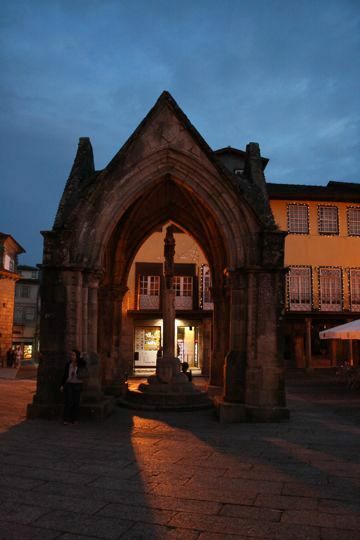 In another post I’ll show you the city center and tell you about its history but for now, I leave you with Guimarães at night, possibly the most romantic city I’ve ever had the pleasure of strolling through in the evening. We were lucky to arrive right at dusk, moments after the sun went down, making the sky bright blue, but still dark enough for the city to turn on all of its decorative lights. Welcome to the fairytale. 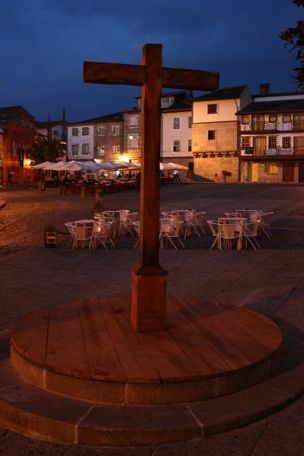 Oliveira Square as night falls. The clock tower strikes, it’s dinner time! A couple takes a romantic walk. 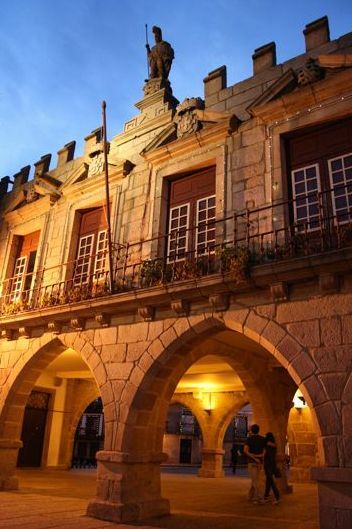 Guimarães is full of attractive outdoor restaurants to enjoy your summer meal. 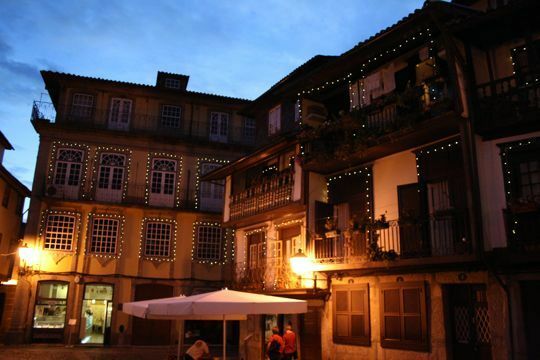 I love the use of Christmas lights to highlight the beauty of the old town. 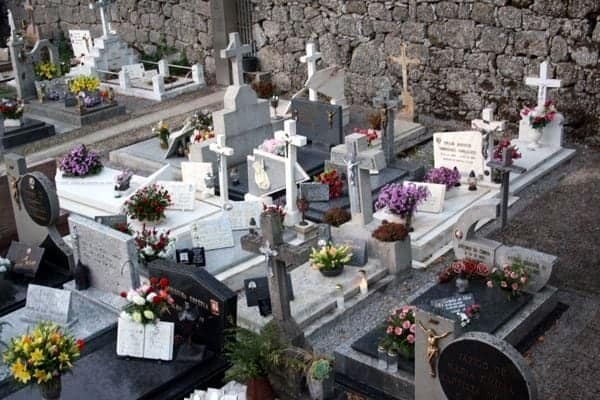 The 2012 European capital of culture, with good reason! 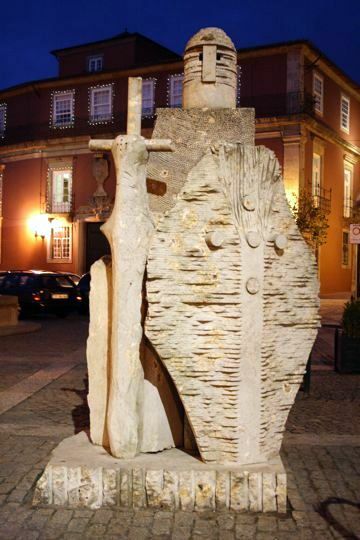 Another strange but interesting work of art in Guimarães center. The flowers lining the windows of these homes were lovely. 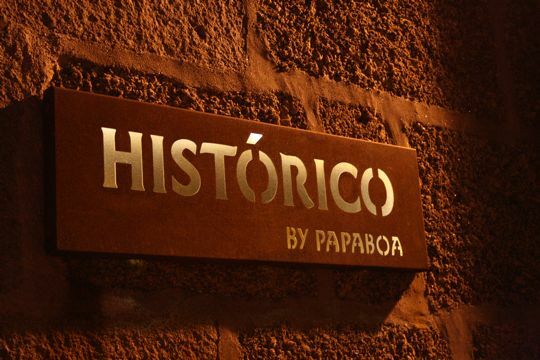 Historico by Papaboa, a lovely restaurant. Finally, we reached our destination. 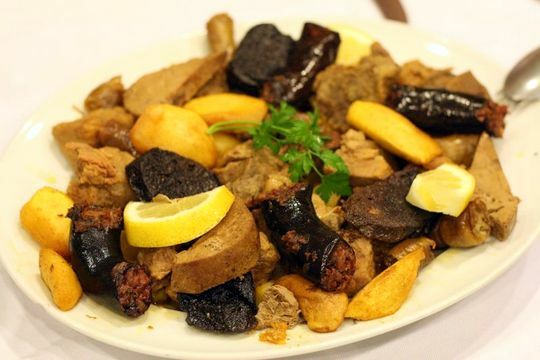 We were treated to a lovely dinner at Histórico by Papaboa, a traditional Portuguese restaurant with great food and wine. As we rolled out of the restaurant a couple of hours later, we were exhausted, but no one complained about the gorgeous walk back to our bus. How could you? 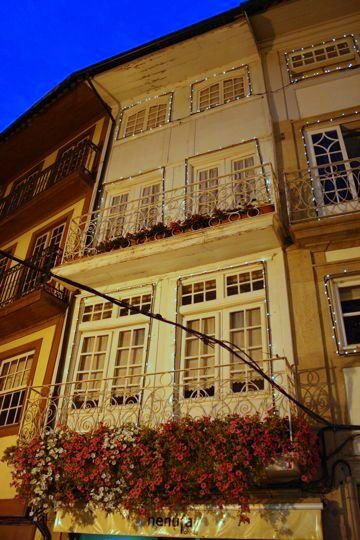 Our stay in Guimarães was complimentary as a part of the TBU post conference blogtrips with Visit Porto, but my opinions of the city are all my own! Beautiful old town. I’d be less happy wandering around Liverpool or Glasgow, previous European Cities of Culture, at night! I just Googled the pools and it appears that they are “performance architecture” meaning that people can bathe in them, as in times gone by. Nice idea. What a gorgeous night stroll! The city does look really romantic, and I’m totally a sucker for any city with arcades (Bologna, anyone?). 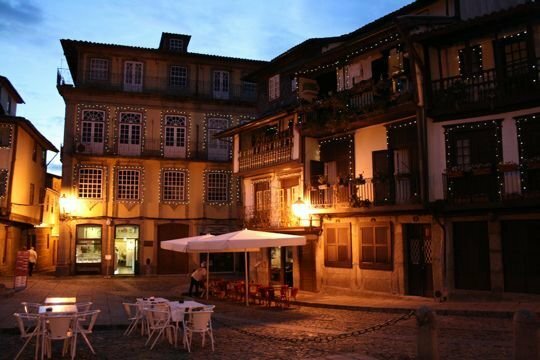 I was already intrigued by the overview you gave of the TBU Portuguese towns, but after these shots I’m definitely adding Guimarães to my to-visit wishlist! 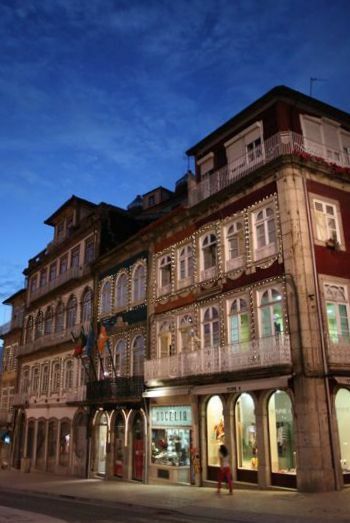 Guimarães has absolutely nothing to do with the Douro Valley. 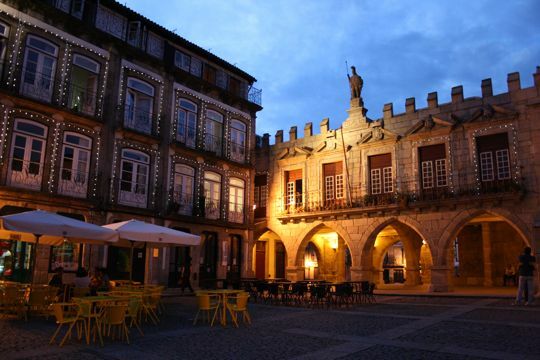 Guimarães is located in Minho province North of the Douro. 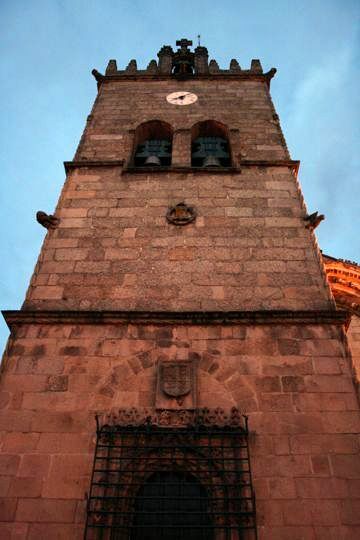 Guimarães is part of the Ave Valley. 1 of the 4 valleys rivers that make the Minho (Minho, Lima, Cavado and Ave). Thanks Gabriel! I didn’t realize, we were on a Douro Valley trip, so I figured it was a part of it. I’ll change the reference.